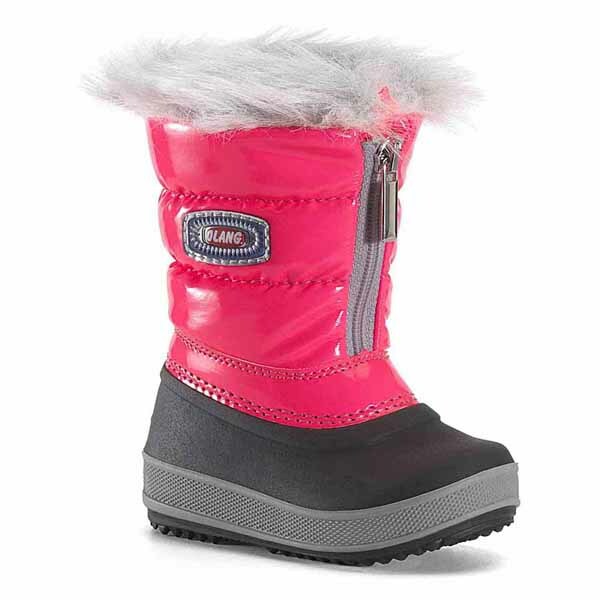 The Olang Kelly is a fun kid's winter boot with a glossy quilted upper accompanied by a cosy faux fur cuff. The sherpa fleece lining keeps feet extra warm and snug when the temperature drops. 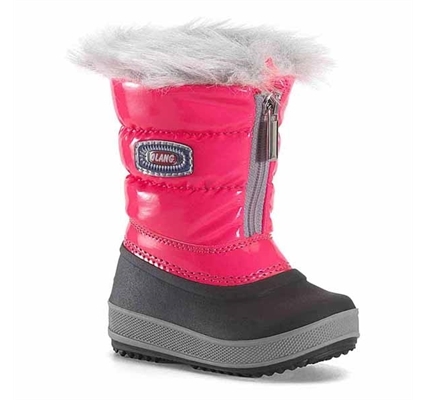 The sole unit is lightweight and flexible, with a durable high gripping base and a full front zip opening makes fitting these boots on wriggly kids easy work.